Luke Shaw’s been in fine form for club Manchester United this season. 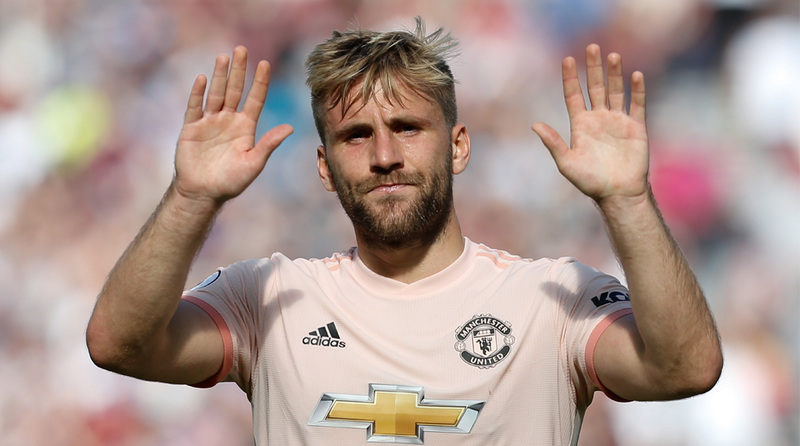 Manchester United defender Luke Shaw has withdrawn from Gareth Southgate’s England squad ahead of their UEFA Nations League matches against Croatia and Spain, with Leicester City fullback Ben Chillwell getting called up in his stead. Shaw’s been through a tough few years due to injuries but looked to have turned a corner this season as he’s been comfortably the best Red Devils player for the past few months. However, the left-back reportedly suffered a knock during United’s 3-2 win over Newcastle United and has flow back to Manchester after initially being included in the Three Lions squad. Shaw’s injury is not serious, but fans will be praying that the former Southampton defender shrugs it off and continues his fine season unabated. United have a tough fixture right after the international break, an away clash in the Premier League at Chelsea. The Blues are level on points with leaders Manchester City, but trail them due to a marginally-inferior goal difference. Jose Mourinho’s men have made an underwhelming start to their 2018/19 campaign in stark contrast and they languish in 8th place at the moment. However, hopes are high among the United faithful that they have turned a corner after their miraculous comeback win over Newcastle United on the weekend. Trailing 0-2 after just ten minutes played, the Red Devils scored three second-half goals to clinch a 3-2 win that has seemingly saved Jose Mourinho from getting the sack. Meanwhile, England will try to make light of Shaw’s absence when they take on European heavyweights Spain (October 16) and World Cup finalists Croatia (October 12) in the next ten days. After an encouraging World Cup campaign, where the Three Lions reached the semi-finals, England are looking like a side rejuvenated under Southgate.